Janet L. Keuper is a member of California State Bar and is admitted to practice before all California Courts, as well as the United States District Court for the Central District and the United States Supreme Court. Ms. Keuper is a graduate of San Jose State University and Pepperdine University School of Law. From 1987 through 1990, Ms. Keuper worked at the firm of Kinkle, Rodiger and Spriggs, in which she defended individuals and corporations in various types of personal injury claims. In 1990, Ms. Keuper joined the firm of Thomas & Price, LLP. 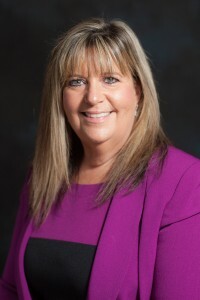 Over the course of her career with Thomas & Price, LLP, her practice areas expanded from defense of automobile and homeowner liability cases to include a wide variety of complex litigation including medical and nursing malpractice, elder abuse, toxic tort litigation, employment, and defense of public entities. In the last several years with the firm, Ms. Keuper’s practice focused on the defense of public entities in claims of violation of civil rights, medical negligence and employment discrimination. In 2013, Ms. Keuper joined the firm of Seki, Nishimura & Watase, LLP, where her practice has focused exclusively on the defense of public entities in claims of violation of civil rights. She has been an advocate in state and federal courts, has defended clients in administrative hearings and has argued before the California State Court of Appeal.